Initial Reaction of Book in One Word: Lovely. I didn't expect to like or devour The Sound of Letting Go as much as I did. Because I really liked it, and I totally devoured this book. The fact that it's in verse and written in such a well-flowing, lyrical way really helped; before you know it, you've read a hundred pages! I'm kind of disappointed by how many people I haven't seen reading this. It's a quick, simple read, and one that I think is worthy of checking out. One quick note: I think the synopsis is somewhat deceiving. Daisy doesn't technically quit band; she just stops going. And it's also suggested, in my opinion at least, that there's a love triangle, and I don't really think there is. (Which kind of stunk, because I was rooting for something to happen with someone who wasn't really a possibility.) I didn't have any glaring issues with this book. In fact, though I believe a few things somewhat bothered me, I think of anything to make me dislike this book. It was pretty well done. The Sound of Letting Go is about Daisy and how she deals with life, for it revolves around her severely autistic younger brother Steven. When she's at home (and even when she's not), everything she does (her parents, too) has to work around her brother: noises, loudness, food (don't burn it! ), guests, where she plays her music, etc. But when things reach a breaking point (spoiler alert: Steven breaks Mom's arm), Daisy's parents (whose marriage has been suffering) decide to send Steven to a home. Daisy's mad that they'd send her brother away, so she decides to act out. But at the same time, a part of her is also relieved: without Steven around, she won't have to tiptoe around life. The way this book was written really helped pull it together. It showed how Daisy feels about everything, and how she releases herself in her music playing. I liked bad boy Dave and Irish exchange student Cal; both gave something to Daisy that she needed, emotionally and mentally. (I won't tell you which one was my favorite, because that'd be a spoiler.) Daisy herself, though somewhat lost, was a likable character, and I enjoyed her POV. (Like I said earlier, I devoured this book.) Justine wasn't my favorite as best friends go, but she's there was she was needed, and that was good. Steven was an interesting character, because while he wasn't always physically there, he was always present: in Daisy's thoughts, how she acted, and how she decided what to do--or not to do--after school and on weekends. It was also interesting to see how the parents acted in the situation. Mom was always there but tired and careful, and Dad plastered the fake smile on and did what he had to whenever he was home. In this book, we get a glimpse of what it may be like to live in a house with an autistic child, something I haven't seen in a lot of books. I'm not so sure this review accurately conveys my feelings for this pleasantly surprising book, but: Was this book good? Yes, quite so. Was I in love with it? I don't think so, but that's nothing against this book. The Sound of Letting Go is an extremely well written novel, verse or otherwise, and it deals with a tough subject without putting a dark, depressing cloud over the readers. In fact, I want to read more of Kehoe's books, simply for the writing. This book featured hardships, but it also showed how to pull through those hardships--and with a touch (or two or three) of romance and love (the latter being of the non-romantical type). And as I've said more than once, this quick read has an extremely devourable quality that makes it even better. Also, quick side note: I was reading this at the same time as another book (and one I really wanted to read), and I found myself wanting to read this book more than the other, which was another surprise. 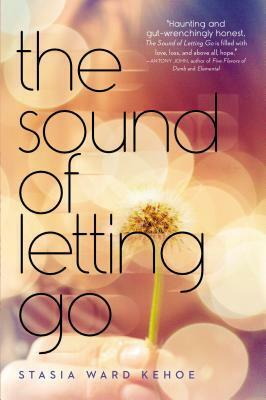 Full of lyrical wording and totally quotable, The Sound of Letting Go is not something to let go of--it's something to read and hold on to. Did I love it? Not quite, but I really liked it! Would I purchase it? Yep! Who would I recommend it to? 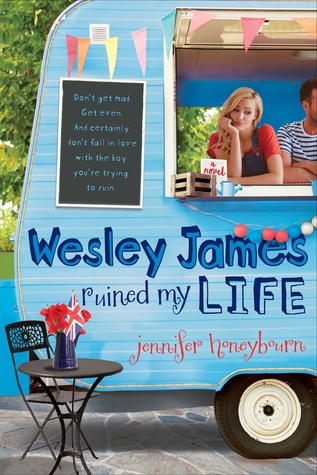 I think fans of verse, Lisa Schroeder, and Sarah Dessen would really like this book. Also, if you like contemporary novels (and ones that aren't all fluffy), read this. It's not light, but it's lovely.